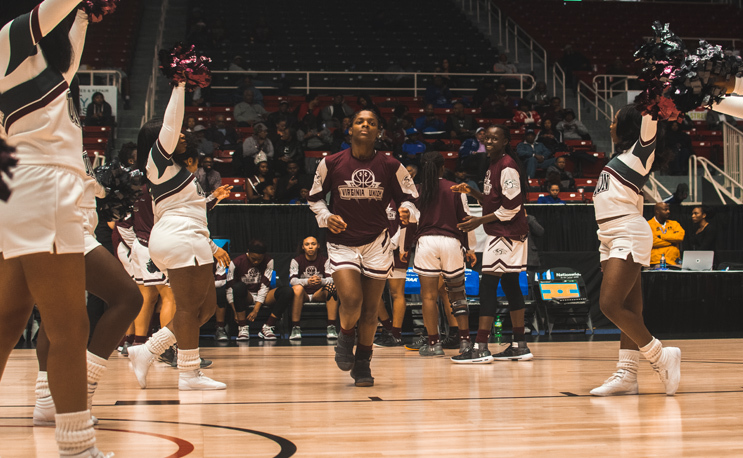 Charlotte native Shareka McNeill put on a show for the ages as Virginia Union rolled to a big win over Livingstone in the CIAA Tournament. CHARLOTTE– Shareka McNeill was given the CIAA Player of The Year Award on Monday. She showed why on Wednesday afternoon when the Virginia Union guard and Charlotte native came up with an epic performance for her hometown audience. McNeill scored 59 points as VUU rolled past Livingstone 91-57 in the quarterfinal round of the CIAA Tournament. That performance tied Cassie Smith of North Carolina Central from 2005. And that she did. McNeill hit 14 of her 20 attempts from the 3-point line. She single-handedly outscored Livingstone. The sophomore guard finished 19-for-29 from the field and 7-for-8 from the free throw line. Senior guard Rejoice Spivey had a big night as well, putting up 11 assists and 10 rebounds in the win as VUU improved to 25-2. VUU will play the Johnson C. Smith-Lincoln winner on Friday.